When Internet user Gam3r91 read the web advertisement for Full Sail University’s (FSU, not to be confused with Florida State University) Game Development Degree Program, he was at first excited. The advertisement suggested that Gam3r91 turn his passion for gaming into a career. Gam3r91 was intrigued by the name of the university as well. 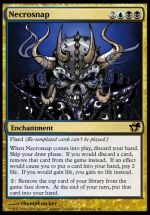 “I like the idea of a ‘full sail,’ the wind at my back, fate itself propelling me toward turning my passion for gaming into a career,” he explained. Things took a turn for the worse, however, when he saw the figures on the advertisement: Two large, poorly-dressed, poorly-maintained dorks playing video games on a couch. Their heads were digitally modified to look like they were made of voxels. Gam3r91 went on to explain how these two men look exactly like people he would never, ever want to associate with. “They look like terrible, terrible people to be around,” he said. He proceeded to point out their unkempt hair, caveman-like eyebrows, hunched stature, and aggressive demeanor. Full Sail University is located in Winter Park, FL. 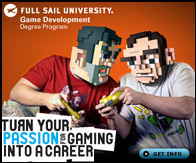 The advertisement implies that FSU teaches game development exclusively for the Bananazone Pro game console.